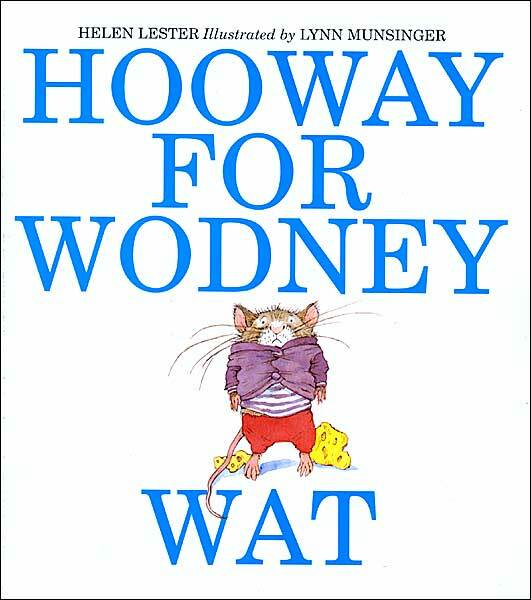 A special thank you to my friend Ally for pointing me in the direction of this wonderful book…Hooway for Wodney Wat is the story of Rodney Rat who, as you could have probably guessed, cannot pronounce his “r’s”. Hence…Wodney Wat. Surely a cruel joke of fate for both of his names to begin with that ever-elusive letter…and Wodney certainly bears the brunt of the teasing and giggling at school. That is, until Camilla Capybara comes to school – and announces that she’s the biggest, meanest and smartest rodent in town. A not-so-friendly game of Simon Says ensues and, lo and behold, Wodney’s pronunciation is the key to successfully humbling Miss Camilla. For anyone who, like my younger son, has a bit of trouble with those dastardly “r’s” or for anyone who just needs a little reassurance that everything is going to be alright, Hooway for Wodney Wat is a remarkably clever and inspiring tail….I mean, tale.